• Salt is a BIG DEAL. You want to add salt to every stage of preparation. I followed the recipe exactly and did not add any additional salt. • Curries take time! I did let it cook on a lower setting for longer so I'm not as concerned about this one, but if the other two tips don't help I'll give this one a go as well! To start I cut the chicken into chunks. This part takes me forever because I'm a picky eater and I try and take all the skin and fatty parts off. Cut up your onions into thin slices and crush your garlic. For crushing the garlic I cut it up into small pieces and then crushed it with the flat side of my knife. I hope that's right? Get your canned goods opened and ready! 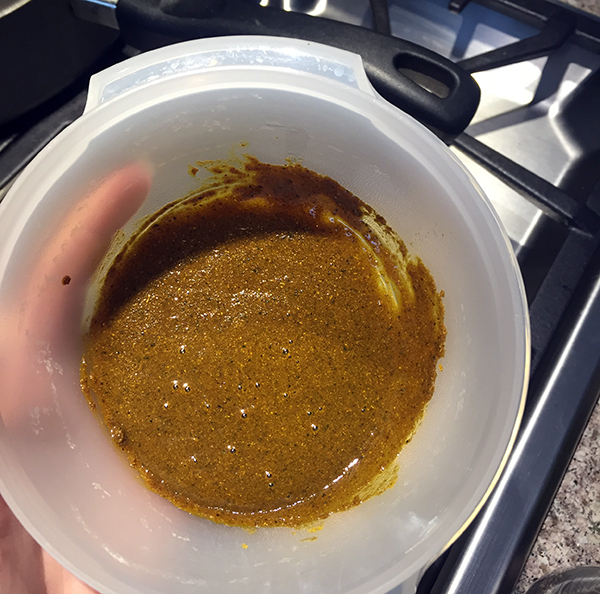 Stir together the curry powder and vegetable oil. Heat a large skillet over medium-high heat and then add the curry paste. Spread it around and let it cook for 1 minute. Add the garlic and onions, stir to coat, and cook for another minute. Now we'll add the chicken! Stir to make sure each piece is coated with the curry paste, then reduce the heat to medium and let it cook for 7-10 mins (or once the chicken is no longer pink in the center). Time to add the canned goods and granulated sugar! 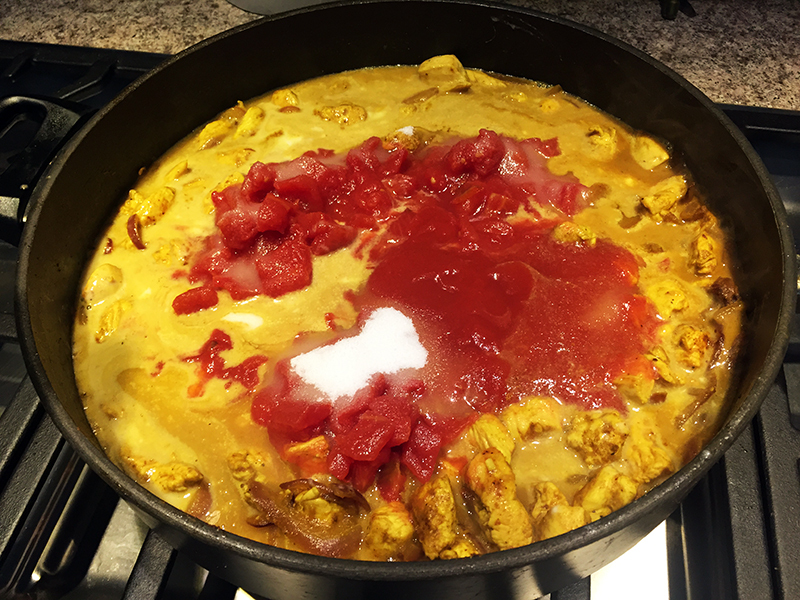 Pour in the coconut milk, diced tomatoes, tomato sauce and sugar into the pan. Stir to combine. Now we cover it and let it simmer for 30-40 minutes. I turned my heat to low and stirred every 10 minutes while letting it cook for a total of 40 minutes. Once you're done simmering the curry, it's ready to go! Pour over rice and enjoy. As you can see, the diced tomatoes didn't totally break down in mine, so the overall color is way more red than the nice yellow-orange most coconut curries have. Maybe I'll try letting it simmer at a higher heat next time? I'm excited to try this dish again and post the new results!